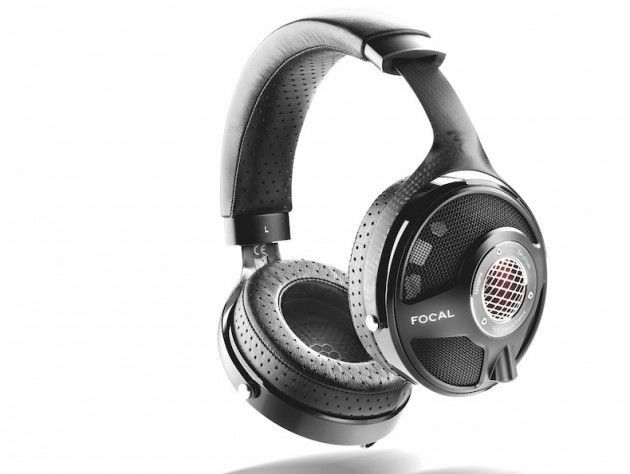 Focal has released a new line of premium over-the-ear headphones that includes the Utopia, the Elear, and the Listen. The Utopia headphones is feature an expensive beryllium driver in each ear cup for an amazingly accurate sound. They also feature an open-back setup so you can hear everything else that’s happening around you even while your music plays at high volume. The rest of design is includes a carbon fiber headband covered in high-end leather, with the same material also used to cushion each ear cup. While the Utopia headphones are designed for the most critical audiophiles, the Focal Elear open-back headphones are meant to provide similar performance at a more affordable price point. That rules out the beryllium driver; the Focal opted for an aluminum-magnesium blend instead but kept the same shape as the Utopia. As a result, the frequency range is not quite as vast, but is still impressive at a claimed 5 Hz to 23 kHz. While the open-back design is widely recognized as offering superior sound, it isn’t ideal in an office or other crowded environment. Focal’s new Listen headphones are meant for the listener who wants a pair of headphones they can use on the go, but does not want to sacrifice sound quality. The Listen headphones feature a closed-back, over-ear design with a 40mm driver constructed from a titanium-coated Mylar sheet. It frequency response is a claimed 15 Hz to 22 kHz — not as impressive as the more expensive open-back models, but it is still capable of covering the entire range of frequencies found in most recorded music. Both the Utopia and Elear are slated to arrive June 29, while the Listen will arrive a little later on July 15.